We recommend a 3-4 minute steeping for our Earl Grey; infuse for a shorter time if you want more citrus, a longer time if you want more depth of flavor. The longer a flavored or scented tea is steeped the more the base flavor of the tea will dominate and the less the ‘perfume’ of the scenting or flavoring will be evident. Our Earl Grey is simply superb. We start by carefully-crafting a blend of full-bodied black teas. Then we scent our blended tea base with 100% natural Italian oil of Bergamot (it is expelled from the fresh citrus fruit and has no preservatives!) so that our Earl Grey Tea has just the right level of citrus-y snap. We blend and scent our Earl Grey Tea right here in the shop, generally about once a week, so that the Earl Grey you purchase from us is at its peak of flavor. Our level of scenting is fairly high, but not overpowering. We do not add bits of dried flowers or artificial flavoring or fillers into our Earl Grey. Many other tea vendors add lavender, rose, Lapsang Souchong or other secondary flavors to their Earl Grey. We do not add anything but Italian oil of Bergamot, preferring to blend simply the classic Earl Grey for you. 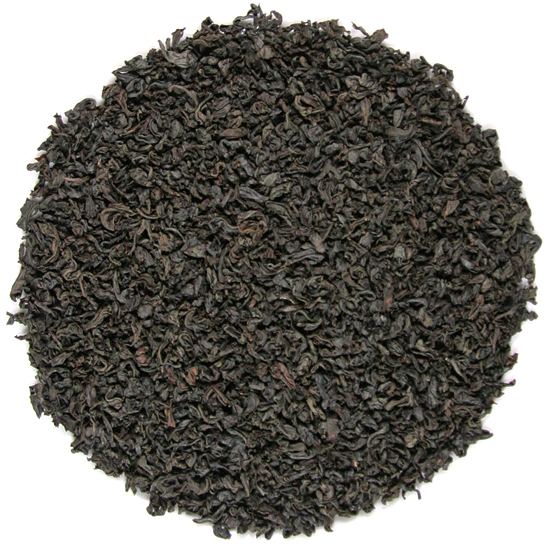 We hesitated at first from placing our Earl Grey in the ‘Our Picks’ category, because we can hardly keep up with blending it, but it is so delicious and popular that we yield to the legions of fans who drink it regularly.